Are you doing construction work or erecting signs/tables/awnings/etc. in publicly-owned areas? -The Area between the sidewalk and curb. -Individuals working in the right-of-way know the appropriate rules and regulations. This reduces the possibility of damage to utility lines. -Individuals doing work in the right-if-way are property insured against personal injury and property damage. -Work is done according to the City of Monticello specifications, codes, and requirements, thereby providing for proper restoration of public property. -Schedules between agencies and individuals are coordinated so they do not attempt to perform work at the same location simultaneously. -A record of who performed specific work is maintained, in case problems are discovered after work has been completed. -Vehicular and pedestrian traffic is adequately maintained. -Any type of excavation in the public right-of-way such as installing, repairing, or replacing of water services or sewer laterals, and installing or repairing of any type of underground utility. 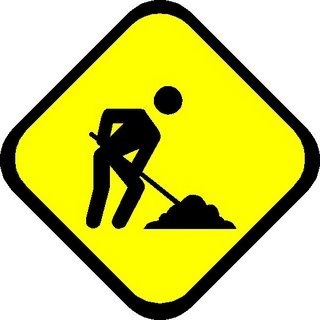 -Repairing or replacing of any sidewalk in the public right-of-way. -Resurfacing, widening, or closing of an existing driveway. -Installing, replacing, or removing street curbing. -Storing materials, dumpsters, or equipment in the public right-of-way. -Parking any heavy equipment such as cranes in a public street. -Erecting a new utility pole, or removing or relocating an existing utility pole. Permits may be downloaded HERE and returned to the Monticello Municipal Building during open hours.